t’was trying to learn a video editing program today. what better way to learn it with than with some tunes/noize? happy. stoked. elated. when it rains, it pours show announcements! 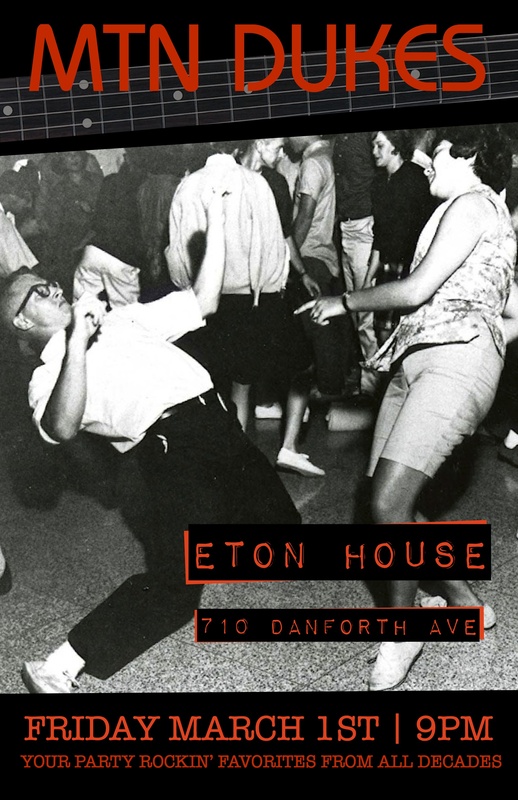 first off, the mtn dukes return to Eton House for a night on Friday, March 1st. new songs will be in the spotlight as we inch along to a 40 song setlist. this poster nicely sums up what happened last visit! and the BIG NEWS is that skipapalooza 3 has been finalized! this year we are taking the party from Newmarket (where our old band was based) and into the epicentre of entertainment, Queen St. West in Toronto! thx to The Sister for stepping up to the plate to host the hootenanny. we’ve had the pleasure of playing there a few times but none since the renos. 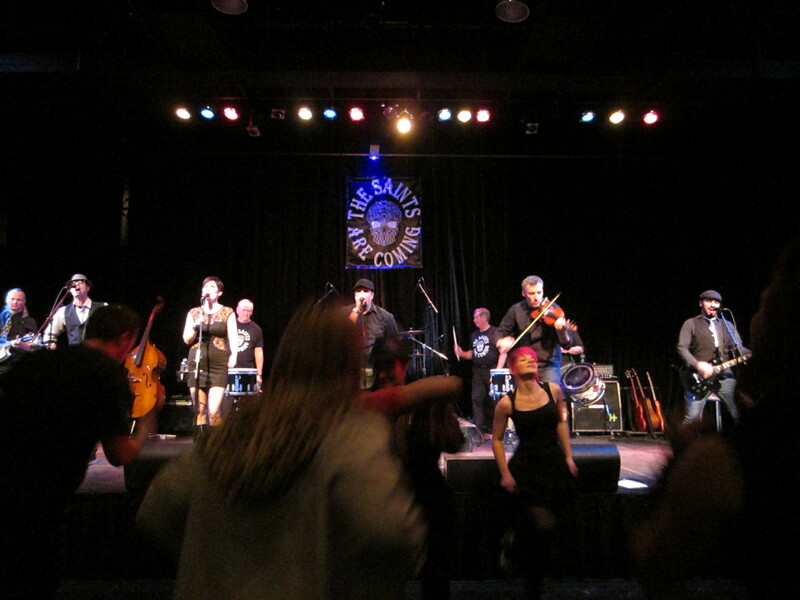 lookin’ forward to 2 sets from the mtn dukes & then dancing the night away with celtic stylin’s of The Saints Are Coming! 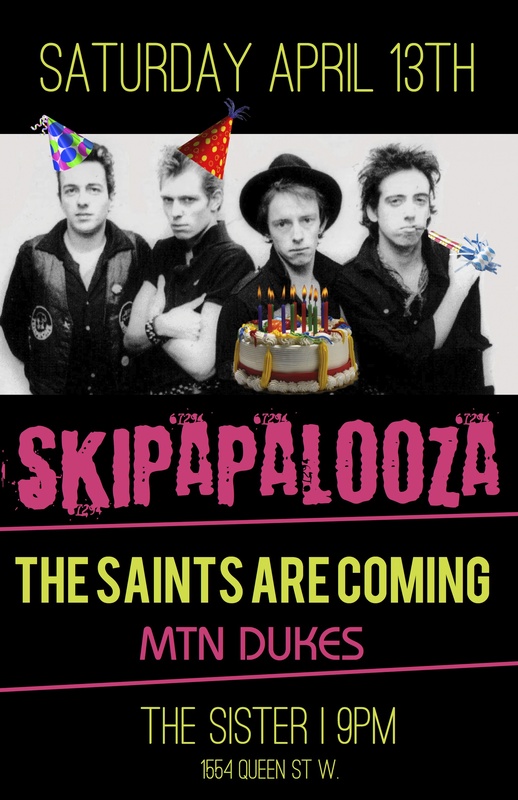 more posts on skipapalooza as the date nears. just today it feels great to have the event locked down & now we can just prep the fun stuff like… tunes! taking a night off work & a 2 hr journey partially thru a snowstorm was all worth the while to witness one of our fave bands, THE SAINTS ARE COMING CD release show in the Hammer. not often we get out for a night on the town that doesn’t involve us playing the show as well soooo we made the most of it! we did manage to get a few pics in & take a video of the opening before we hit the dancefloor. the sound was great, the band was the tightest we’d ever seen (even with some extra players in the mix) and despite the early 830p start, the dancefloor filled! our most heartfelt congrats go to out to a great band for not only a funstastic party that night but a super cd too! CANNOT wait for the next hootenanny we can get to! time to do some catching up! the Mightabins show late December was a great honour to be a part of. we miss playing original music to ppl & with ppl who play & appreciate the same… if that makes any sense. Mightabins in true Ramonesque style laid down 13 blistering songs in 30 mins flat. great venue at the Hard Luck & all the other bands on the bill impressed. for something thrown together last minute during a busy holidazed period, t’was nice to see it work out in the end! mtn dukes are rawkin’ & a rollin’. fresh off our first ever all nighter (ie: a full nite of mtn dukes) even thou we did have an interlude featuring some very special Unlikely Guests. the night had its peaks & valleys but “the good” far outweighed “the bad” & rumours are that we will be back again sometime very soon to Eton House. mucho thx to every1 who came out & danced the night away with us! great learning experience for us as a band. onwards & upwards! 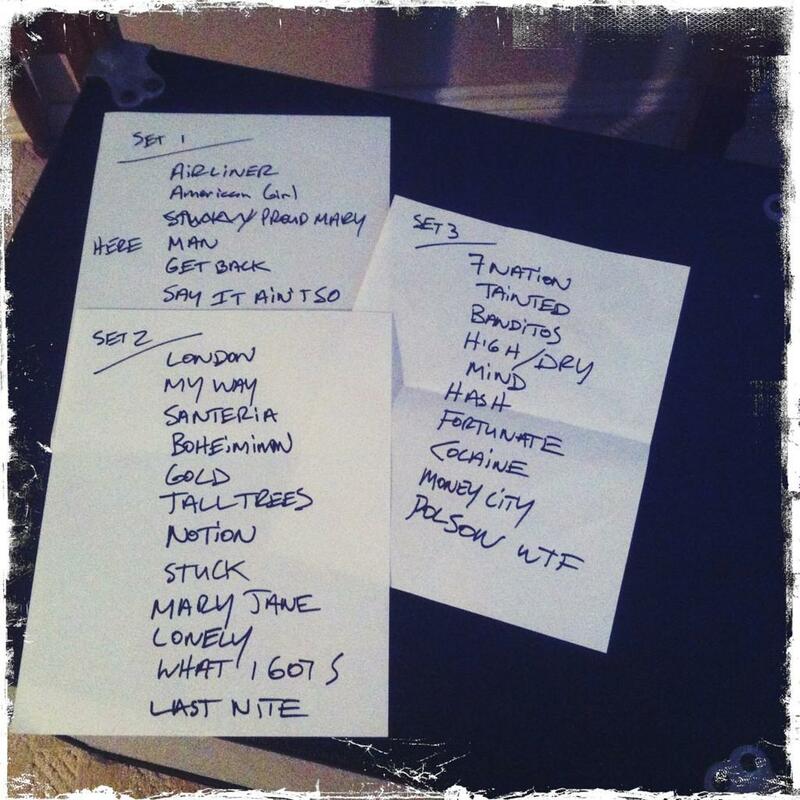 here’s the setlists from this historic event! had the pleasure of hitting a few open mic/jams over the past weekend with some free time on our hands. invaluable experiences to play with & see some different artists. fun times & a great learning experience. next show is with Raised on Promises, our acoustic duo. the show is at The Local Gastropub in Barrie the first weekend of February. if our recent jams are any indication, it will be a stompy, singalong hootenanny! new songs & some tighter arrangements will make this a very memorable event! one day we’ll likely jot down a post about exercise. for now, lets just say we have a snow addiction. its tough to balance that with everything else when the snow is only here for a short while. with that in mind, we gotta go. the outdoors is calling! thx fer dropping in!